Like most celebrities, Jesse, the former Bachelor, was also rumored to be gay as he remained unmarried even after appearing on The Bachelor to find the love of his life. But as a response, he now flaunts his romantic relationship with a Brazilian model! 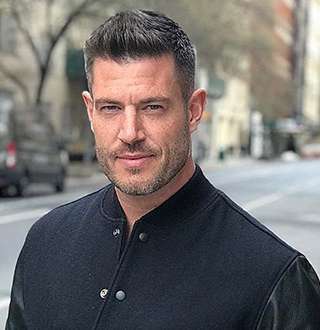 Canadian sports commentator Jesse Palmer came to prominence after he appeared on ABC’s hit reality TV series The Bachelor in 2004. The 39-year-old former NFL star was the first professional athlete to star on the high rating reality series. Jesse was announced as the host of ABC network's new dating show called, The Proposal. The show is a spin-off of The Bachelor, however, concise into an hour. Its first episode premiered on 18th June 2018. Born on October 5, 1978, in Toronto, Ontario, Jesse was raised in Nepean, Ontario. He attended Confederation school as well as St. Pius X high schools. He was a passionate football fan and player, who played all of his amateur football on teams in the Ontario Minor Football Association and most importantly with the Myers Riders Football Club in Ottawa. His father, Bill Palmer, was also a football player who played for the Ottawa Rough Riders. His mother, Susan, was a prominent fashion and print model. 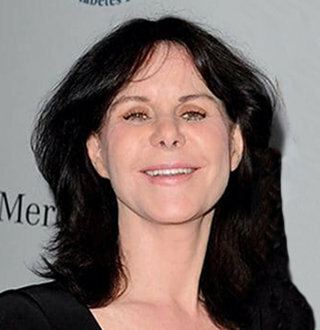 She was the co-founder of Barrett Palmer Models and former owner of the original ITM International Top Models, a modeling agency and training center located in Ottawa. Jesse Palmer is a handsome man with exceptional skills and a splendid height of 6 feet 2 inches. With the lack of a life partner, the stylish man was rumored to be on the gay side like most of the celebrities who remain single. Moreover, fans also committed him as gay through many tweets back in 2017. One tweeted that he looks gayer than an actual gay person, while another fan aggressively told him to fire his agent and get out of DailyMailTV contract as the gay rumors about him will again be swirling. However, Jesse is not gay--he's far from it. His dating history can shed some light on how straight he is! Although the DailyMailTV host Jesse was always rumored to be gay, he had a relationship with Jessica Bowlin on the dating show The Bachelor. Jesse picked Bowlin and dated her for several months. However, it turned out to be the right decision on Jesse's behalf that he opted out of proposing to Bowlin; they amicably split after the show ended. When Jesse was asked what led to their break up, Jesse said, only vaguely stating that their relationship's next step after the show was entirely different and led them to different directions. The former ‘Bachelor’ Jesse Palmer now has a new girlfriend, and she is a gorgeous Brazilian model. His relationship with Jessica Bowlin may have only lasted a few months after The Bachelor’s 2004 season ended, but now it looks like he has finally found love again. The host of the dating show called The Proposal is now dating a Brazilian model Emely Fardo, and they look seriously committed to each other. As per the first picture they shared of them together on their Instagram, it seems they first met in Paris, France in August 2017 and started dating since then. See More: Is Orlando Scandrick Draya Michele's Husband, Her Life As Mother Of Two Kids? After the image, the couple started uploading lots of pictures of them on social media accompanied by romantic captions. They were even spotted together at the charity event in New York in September 2017 and stole the show with their romantic appearance. He only had eyes for his model love and was seen wrapping his arms around his girlfriend as they posed for photographs. Is Jesse Palmer Married To Emely Fardo? Jesse's relationship with Emely Fardo has been progressing very well. They've already reached a milestone of almost a year together as of 2018. The couple has been going strong, and their Instagram walls state all about it. And, it looks like The Proposal host has finally found a woman to 'propose' and hopefully, make his wife real soon. Jesus! Jesse Palmer And Emely Fardo Should Get Married Already! Supposedly, a complete year into the relationship and the Jesse-Emely duo is flaunting their love like newly found lovebirds. The couple's chemistry as seen in through thier Instagram uploads is to die for. They can pose from super romantic and luxurious to crazy and cute. Either way, they make an envying match. Relationship Talk: Catherine Paiz Age, Real Name Revealed; Won't Marry Austin McBroom, Why? Palmer's stunning beauty of a girlfriend even admits that he is the man of her dreams. On October 5th of 2018, she uploaded multiple adorable pictures with her dreamy man on occassion of his birthday. The thing getting butterflies into thier admirers belly is their marriage. They are so content with living thier moment in thier blissful relationship while their fans and followers are looking forward to the day they finally decide to take a big step in their love life. The pair of a hunky man and beautiful woman will hopefully flaunt thier attires on their big day and amuse the world with their perfect look.